In addition to our ecommerce services, CapTech offers reverse logistics and returns management services. 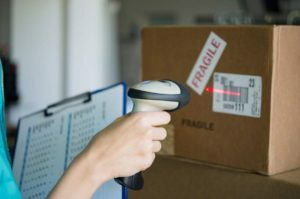 Captech Logistics’s reverse logistics services streamline the returns process (enabling our clients to enhance their customer’s online ordering experience), adds a track and trace component, and lowers cost of management. These services, coupled with our Schenectady, NY warehouse’s inventory management and value added services make Captech Logistics your full service third party logistics partner near Albany, NY. We can customize services to fit your business needs. Logistics refers to moving products or goods forward in the supply chain toward the customer, typically considered the final destination. Reverse Logistics was a term first used in the 1990s and refers to the process of moving products or goods backwards in the supply chain. With reverse logistics the product is moved from the customer back to a supplier or re-manufacturer. This process can be used for the purpose of recycling, re-manufacturing, or returns. Returns Management is a form of reverse logistics in which the customer returns product to the supplier, typically for credit on their purchase. Examples of returns management include consumers returning unwanted goods and companies returning unsold items that were on consignment. Numerous industry studies have proved that a good return policy is paramount to attracting and retaining online customers. Many users, especially those who are new to your online shopping site or are unsure about buying online, take return policies as a positive point to go ahead and purchase your products. In much the same way as reverse logistics can act as a strategic advantage, it is essential to customer retention. Preparing and equipping your customers to handle their returns is one of the areas with the biggest payoff for your e-Commerce returns processing.